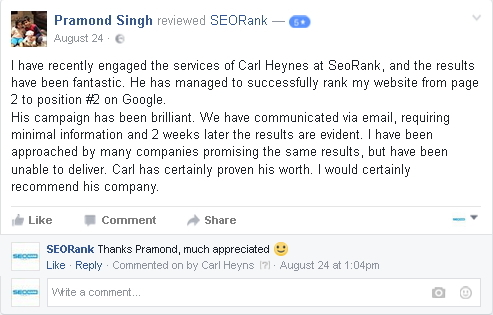 SEORank makes sure our SEO Durban clients get to the top. Using SEO to rank your Durban website in the top of Google’s results and see how quickly your business grows. Why use SEORank for SEO Durban ? At SEOrank, we don’t believe in making our customers sign a 12 month contract. 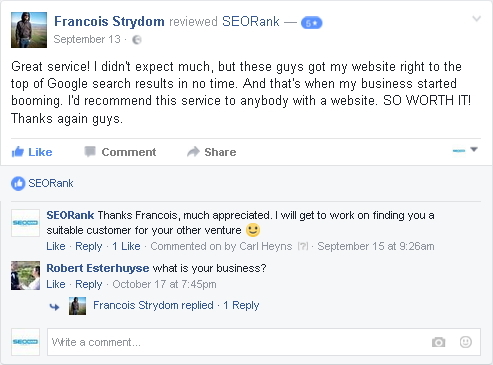 An “SEO Expert” could easily charge you upwards of R4000 per month to rank your Durban website in Google. There are so many of these fly by night SEO professionals out there looking to hook you in on a contract and promise you the world for a small fortune. 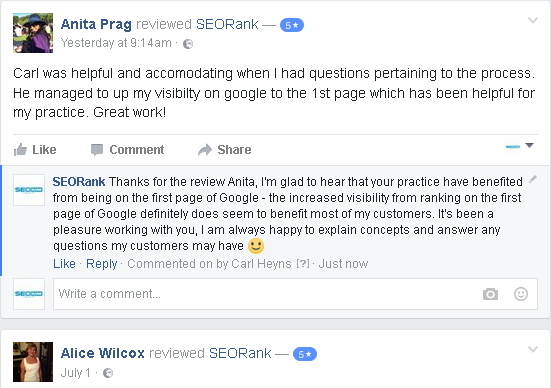 SEORank for SEO Durban don’t work like this. We work strictly on a month to month contract with all of our clients. We like our clients to stay with us because of the great service we give them and the results we get – not because they have been trapped into a long contract.
. We don’t have a “one size fit’s all” pricing policy. Each customer and their website’s ability to rank well is different. We assess each of our new customers’ specific needs, their website architechture and will quote according to the difficulty of the project. In under three months, we are ranking our own website for most of our keywords in the most competitive niche there is. Get in touch with us today and let us assess your Durban website and quote you – no strings attached. You will be pleasantly surprised at our rates. Take 2 minutes to complete our quotation application form and we will send you a free quote & detailed SEO analysis of your Durban website. At SEORank, we pride ourselves in our Durban clients’ successes. Search engine optimization (SEO) is about getting your website to rank higher in the search engines. The excitement we feel when our clients reach the first page of Google is impossible to explain. By working continuously both onsite and offsite focussing on SEO Durban, we will drive your website up the search rankings…guaranteed. We start by doing in depth keyword research for your business or brand and then move on to examining your website performance and visibility for these keywords. If necessary we will optimize your website and make any changes required, before moving on to offsite optimization like building quality and powerful backlinks to it. * We respect our Durban SEO clients’ privacy and for this reason domain names and certain keywords have been obscured from images.